Thats all. Game finished - América 0, Cruz Azul 0. Second Half ended - América 0, Cruz Azul 0. Roberto Alvarado - Cruz Azul - won a free kick on the left wing. José Madueña - Cruz Azul - won a free kick in defence. Renato Ibarra - América - won a free kick on the right wing. Orbelín Pineda - Cruz Azul - won a free kick in defence. Substitution - Cruz Azul. José Madueña for Pablo Aguilar - injury. Delay in match Pablo Aguilar - Cruz Azul - - injury. Pablo Aguilar - Cruz Azul - won a free kick in defence. Substitution - América. Jérémy Ménez for Edson Álvarez. Roger Martínez - América - won a free kick in defence. Substitution - América. Roger Martínez for Henry Martín. Edson Álvarez - América - won a free kick in defence. New attacking attempt. Milton Caraglio - Cruz Azul - shot with left foot from the left side of the box is saved by goalkeeper in the centre of the goal. Assist - Igor Lichnovsky. Yoshimar Yotún - Cruz Azul - won a free kick in defence. Edgar Méndez - Cruz Azul - won a free kick in defence. Missed chance. Yoshimar Yotún - Cruz Azul - shot with right foot from outside the box missed to the left. New attacking attempt. Bruno Valdez - América - shot with the head from the centre of the box is saved in the right corner. Assist - Renato Ibarra. Guido Rodríguez - América - won a free kick on the right wing. Paul Aguilar - América - won a free kick in attack. Corner - América. Conceded by Igor Lichnovsky. Shot blocked. Henry Martín - América - shot with right foot from the centre of the box is blocked. Assist - Mateus Uribe. New attacking attempt. Mateus Uribe - América - shot with right foot from the centre of the box is saved by goalkeeper in the centre of the goal. Assist - Henry Martín. Paul Aguilar - América - won a free kick in defence. Corner - América. Conceded by Julio Domínguez. Corner - América. Conceded by Adrián Aldrete. Roberto Alvarado - Cruz Azul - won a free kick in defence. Delay in match - América Video Review. 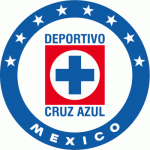 Corner - Cruz Azul. Conceded by Emanuel Aguilera. Roberto Alvarado - Cruz Azul - hits the right post with a shot with right foot from the centre of the box. Assist - Milton Caraglio. Missed chance. Henry Martín - América - shot with left foot from the centre of the box missed to the left. Assist - Andrés Ibargüen with a head. Substitution - Cruz Azul. Jonathan Rodríguez for Martín Cauteruccio. Second Half starts América 0, Cruz Azul 0. 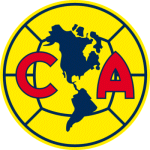 First Half ended - América 0, Cruz Azul 0. Yoshimar Yotún - Cruz Azul - won a free kick on the right wing. Offside - América. Agustín Marchesín with a pass, however Edson Álvarez is in offside. Missed chance. Bruno Valdez - América - shot with the head from the centre of the box missed to the left. 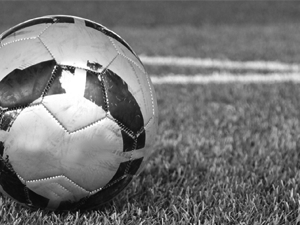 Assist - Renato Ibarra with a cross after corner. Shot blocked. Renato Ibarra - América - shot with right foot from the right side of the box is blocked. Assist - Mateus Uribe. Edson Álvarez - América - won a free kick in attack. Missed chance. Mateus Uribe - América - shot with right foot from outside the box missed to the left. Yoshimar Yotún - Cruz Azul - won a free kick in attack. Offside - Cruz Azul. Roberto Alvarado with a pass, however Martín Cauteruccio is in offside. Guido Rodríguez - América - won a free kick in attack. Roberto Alvarado - Cruz Azul - won a free kick in attack. Andrés Ibargüen - América - won a free kick on the left wing. Missed chance. Henry Martín - América - shot with right foot from the centre of the box is very close to the goal. Missed chance. Adrián Aldrete - Cruz Azul - shot with left foot from outside the box is high and wide to the left. Assist - Roberto Alvarado. Agustín Marchesín - América - receive yellow card. Milton Caraglio - Cruz Azul - receive yellow card for a foul. Emanuel Aguilera - América - won a free kick in defence. Mateus Uribe - América - won a free kick in attack. Renato Ibarra - América - won a free kick in defence. New attacking attempt. Igor Lichnovsky - Cruz Azul - shot with right foot from outside the box is saved by goalkeeper in the centre of the goal. Igor Lichnovsky - Cruz Azul - won a free kick in defence. Guido Rodríguez - América - won a free kick in defence. Edgar Méndez - Cruz Azul - won a free kick on the right wing. Milton Caraglio - Cruz Azul - won a free kick in attack.